Lifting magnets are quickly becoming the preferred way of moving things around. They are able to handle immense weights with reduced human intervention hence improving the safety standards in an environment that is typically considered to be very high risk. When considering the different options, permanent and EM magnets are terms that you’re going to come across quite often. You need to understand what each of them is capable of to allow you make a better informed choice and what each of them has to offer and which is best suited for your intended use. The first difference is in how each of the options is magnetized. With EM magnets, the magnet will only display magnetic properties when there is an electric current that has been applied to it. On the other hand, permanent magnets get their magnetic properties when the magnet has been magnetized. Unlike the EM (electro-magnetic) magnets, the permanent magnets will not need an electric current to be able to work. Based on the type of work and the loads that you would like your lifting magnet to tackle, the strength of the magnet is going to be a very critical part when considering which system will work for you best. For the case of the permanent lifting magnet, the strength for the magnet depends on the material that has been used to create the magnet while the strength of an electro-magnet can be regulated based on the amount of current that is allowed to flow into it. This makes electromagnets more adjustable and better suited for more different applications compared to the permanent magnet. Understanding what can make the magnet to fail is important to allow you have a contingency plan in place. For the case of permanent magnet, the only way they can lose their magnet properties is thorough heating to a maximum temperature. This is the only way the magnet can be rendered useless. However, the magnetic properties can be recovered by re-magnetizing. In the case of the electromagnet, the loss of magnetic properties can be due to loss of an electric current. By introducing the current once more, the magnetism can be restored. Because it sounds alarmingly simple to lose magnetism in the case of an electromagnet perhaps due to power failure or other unforeseen reasons, such magnets almost always come with a back battery that helps to keep the power supply going until you can settle the load down. Each system has its own advantages and it is best to know which ones will work in your favor. 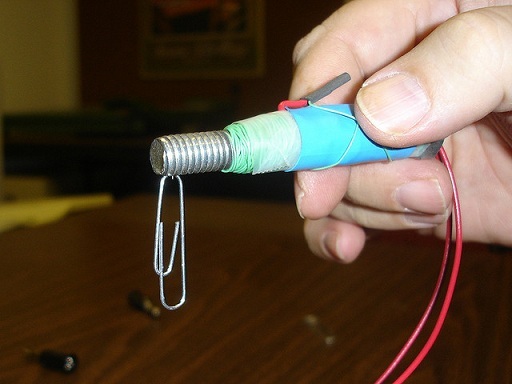 For the case of electro magnets, can be manipulated to fit different situations by controlling the amount of current that is flowing through the magnet. On the other side, while permanent magnets are not as versatile, they are reliable, hard to demagnetize and since they don’t use power, they can be used in adverse settings. To most users, a permanent lifting magnet can seem short-handed. However, this is not entirely the case. They do have their own benefits and depending on the applications that you have in mind, these types of lifting magnets can fit squarely into your plans.